The Seco 5 Meter Aluminum Builders Grade Rod allows users to achieve efficiency and precision in construction and survey leveling. With a durable aluminum construction, it contains 5 sections that adjust up to 5 meters. As an added measure of protection, these sections have an anodized finish and are silk-screened with moisture-resistant ink. 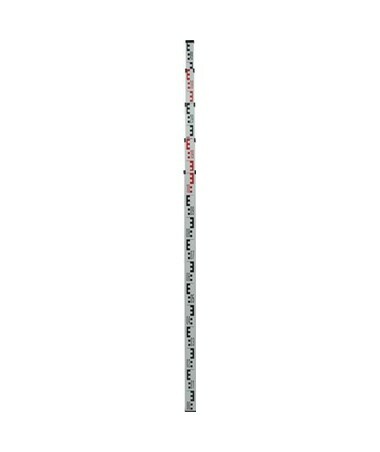 This leveling rod delivers reliability as it is equipped with strong locking buttons that securely lock each section in place. 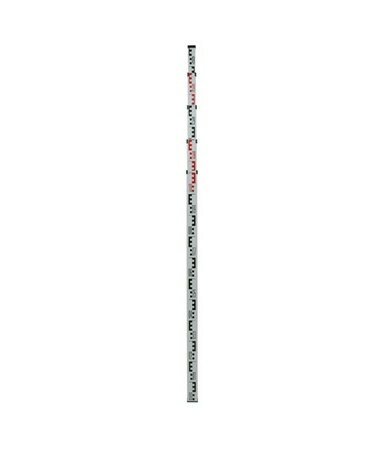 This grade rod displays an easy-to-read scale with graduations in centimeters and millimeters and it also has a back measuring scale that permits height reading at eye level. Sharp, contrasting colors are featured in white, red, and black. 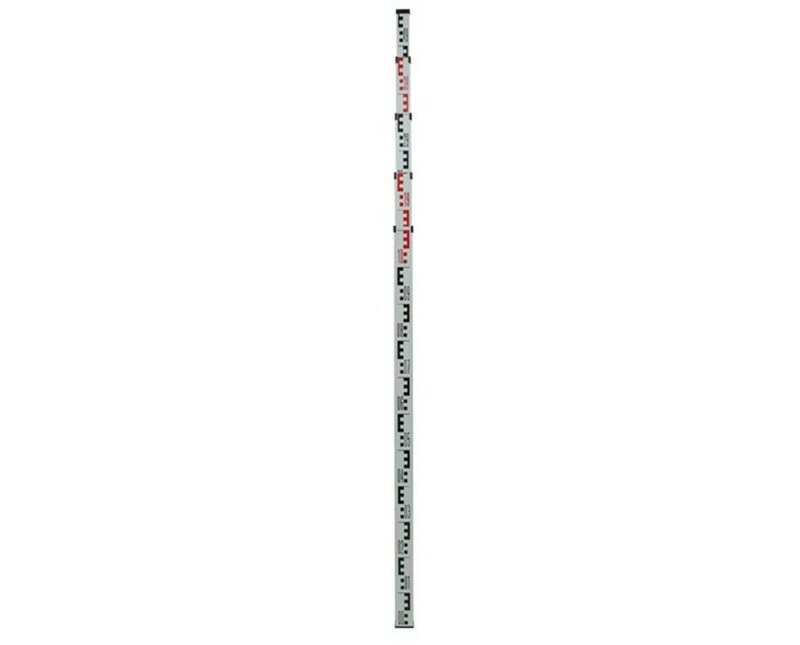 This measuring rod is designed for optimal leveling results. A bubble level and carrying bag are included. A 1-year warranty is also included.